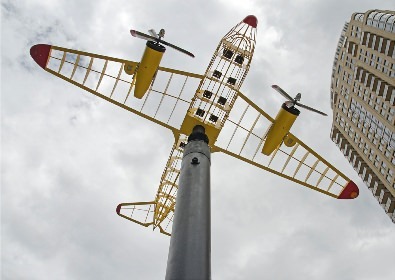 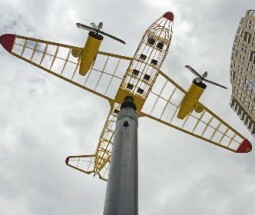 The Flying Objects temporary public art project began in 2005 during a time when downtown Salt Lake City was under considerable construction for the City Creek Center, one of the nation’s largest mixed-use downtown redevelopment projects. 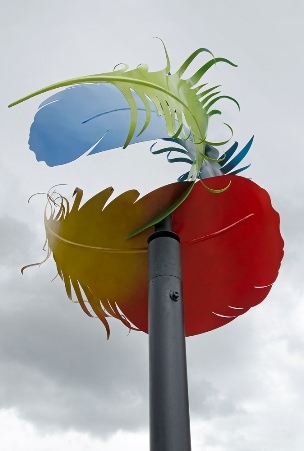 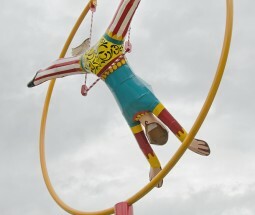 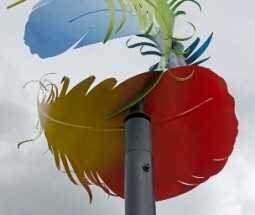 The project was designed to stage a series of sculptures, installed in three locations, that added color, shape, interest, whimsy, and vitality to the streetscape through a curated series of twelve sculptures in a range of styles and materials. 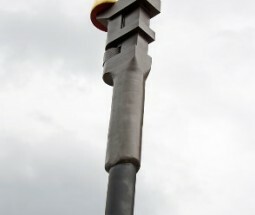 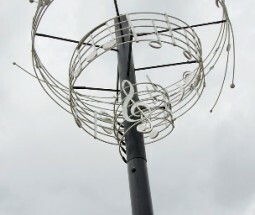 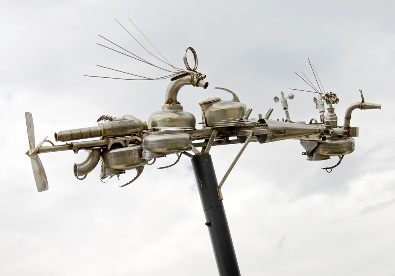 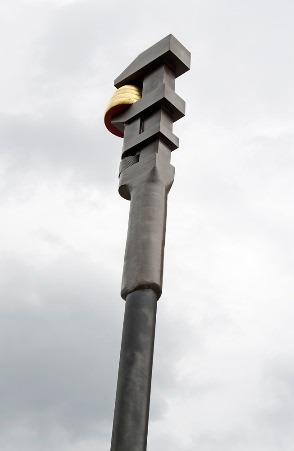 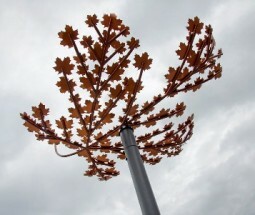 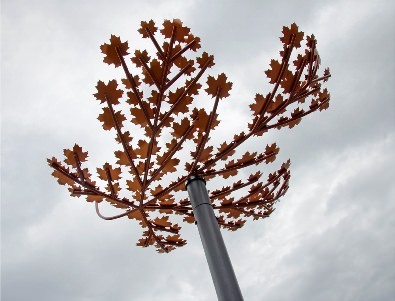 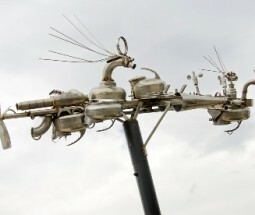 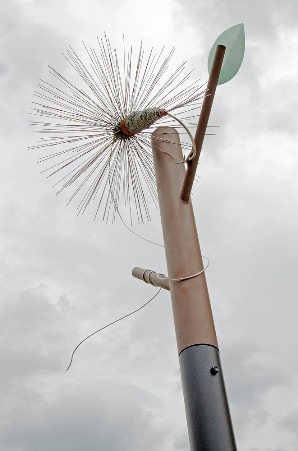 Since then, four series’ of Flying Objects have been accomplished with great support from the artists and the community; each series being installed for a period of 2 to 2½ years. 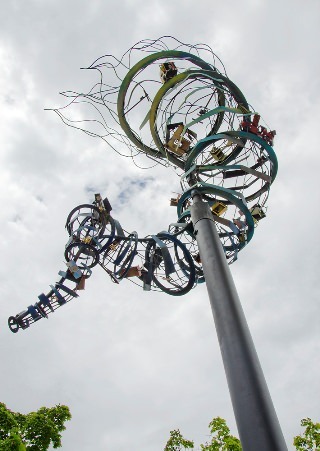 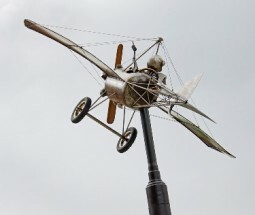 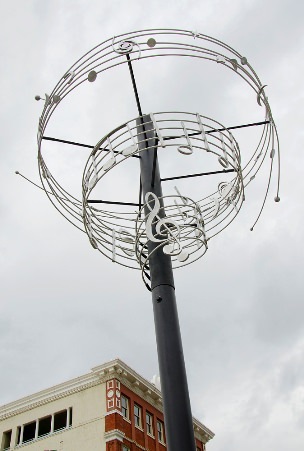 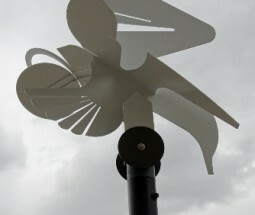 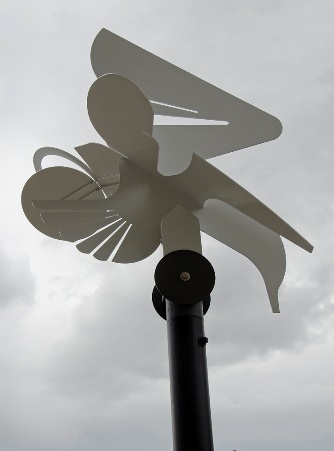 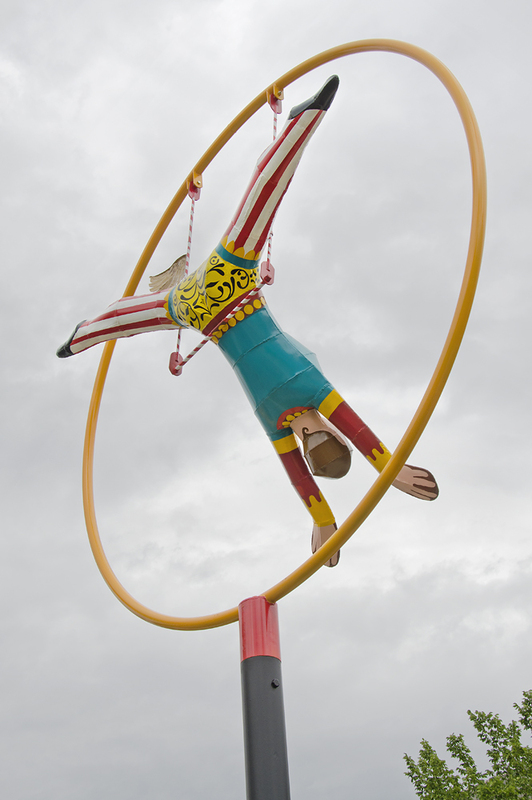 The Flying Objects project has offered both established and emerging Utah artists an opportunity to participate in a temporary public art project and create sculptures on a smaller scale using a variety of materials and subject matter. 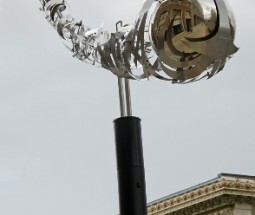 Each selected artist/team is paid an honorarium for the loan of their work. 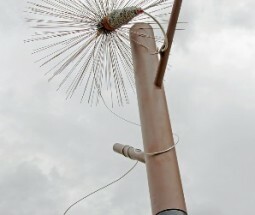 At the end of the project period their artwork is returned to the artists. 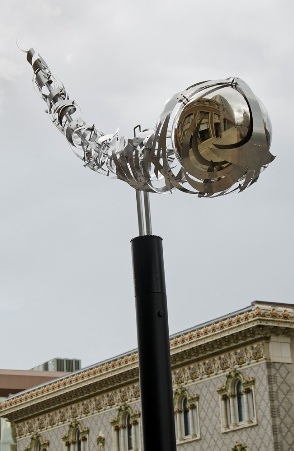 The three installation sites were selected for their proximity to cultural facilities: 10 South West Temple, in front of Abravanel Hall and the Utah Museum of Contemporary Art; 15 West 200 South, across the street from Capitol Theatre near Hotel Monaco; and 125 West 300 South in the median in front of the Rose Wagner Performing Arts Center. 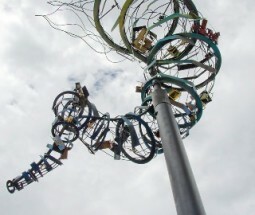 Flying Objects is funded by the Redevelopment Agency of Salt Lake City and managed by the Salt Lake City Arts Council.